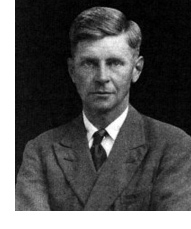 William Olaf Stapledon (1886–1950), a philosopher and science fiction writer, was probably the most important English science fiction writer between H.G. Wells and Arthur C. Clarke. His first novel was Last and First Men: A Story of the Near and Far Future (1930), achieved a wide readership at the time: it was even reprinted by Penguin as one of the first blue-spined Pelicans, a series devoted to non-fiction, because of its status as local “scientific” prophecy. The book describes the rise and fall of eighteen separate races of humanity: the story is told by one of the Last Men, that is, the one of the Eighteenth Men. In Last Men in London (1932), one of the Last Men comes to the period of the First World War, a crucial time. Star Maker (1937) extends the chronological narrative range by nearly a hundred billion years, and looks at the evolution of aliens as well as humans. Nebula Maker was probably written around the same time, as part of an early draft, and was not published until 1976. Stapledon’s other novels were Odd John: A Story Between Jest and Earnest (1935) in which supernormals are created, and meet with the hostility of normal humans, and Sirius: A Fantasy of Love and Discord (1944), in which a dog is given great enhanced intelligence, and again suffers when he meets normal human beings. There are other novels, but these are the ones which bequeathed inspiration and ideas for the next two or three generations of science fiction writers. Stapledon was usually known as Olaf, to distinguish himself from his father William. his parents had been reading Carlyle’s The Early Kings of Norway (1975) when he was born, which accounts for his name. He was born on the Wirral peninsula, across the Mersey from Liverpool, and there spent most of his life. His father worked in the shipping industry, which meant that he never needed to look for employment. Stapledon spent the first five years of his life in Port Said, where his father was working in the Suez Canal. In 1891 his mother brought Olaf back to England. He was educated in Liverpool and in the progressive Abbotsholme School in Derbyshire and went up to read History at Oxford, in Balliol College, in 1905. He taught for a year at Manchester Grammar School, and then went to work for his father. In 1912 he took up social work, and a year later left shipping for good. He became a tutor for the Workers’ Educational Association (WEA); teaching philosophy, history, and poetry. He met his future wife in 1913; she returned to Australia in 1914, but they kept a daily correspondence, and married in 1919. After his war experiences, Stapledon studied for a PhD in philosophy at Liverpool University, and wrote some essays on philosophy, although he never gained a full-time academic position. He came to public notice not through his philosophy, but through his science fiction. After the publication of Last and First Men in 1930 he became the friend and correspondent of several people to be found on this website, including Naomi Mitchison, J.B. Priestley and H.G. Wells. He wrote more fiction in the 1930s and early 1940s, and also wrote books such as Saints and Revolutionaries (1939), Philosophy and Living (1939) (which was published in the prestigious Pelican imprint, like Last and First Men), and Beyond the ‘Isms (1942). In the 1930s he was active in pacifist campaigns, but he modified his position after the Second World War began. He spent some of the war years lecturing to men in the armed forces, under the auspices of the War Office. After the war, most of his fiction was out of print, but science fiction enthusiasts had not forgotten him: in 1948 he was invited by Arthur C. Clarke to talk at the British Interplanetary Society. In his last years he campaigned for world peace, and against South African apartheid. He was the only European delegate granted a visa to attend a world peace congress in New York in 1949; it was widely viewed as a communist propaganda exercise, and the FBI kept him under observation throughout his time in the the USA. He died suddenly of a heart attack in 1950: he had just published his last novel A Man Divided. His unfinished autobiographical work The Opening of the Eyes was published in 1954. The above information comes from Robert Crossley’s entry in the Oxford Dictionary of National Biography and from his biography, Olaf Stapledon: Speaking for the Future (Syracuse NY: Syracuse University Press, 1994).